What the heck is this brass fastener and how do I remove it? It seems to be holding down my bathroom faucet which I'm trying to replace. All I can think is that center "hinge" maybe unscrews somehow? But I don't see any way to grip it, it doesn't have a shape I'm familiar with or that I know how to use with any of my tools (phillips, flathead, hex nut, wrench). This is a toggle nut with some type of locking device extending down through it. It must be removed from above. Some type of cover on the faucet itself is removable. From there you will see the top of the bolt that is threaded into that toggle nut. 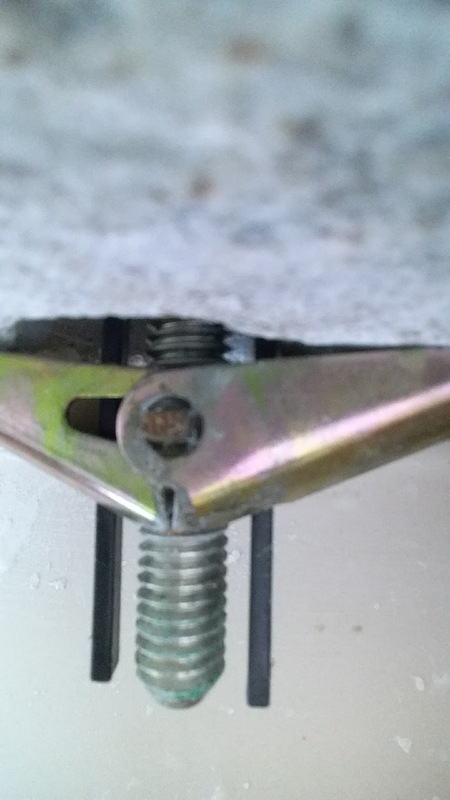 unscrew that bolt and the toggle will drop away. Why do I have blue water coming out of the faucets? How do I remove a stuck faucet/tap cover? 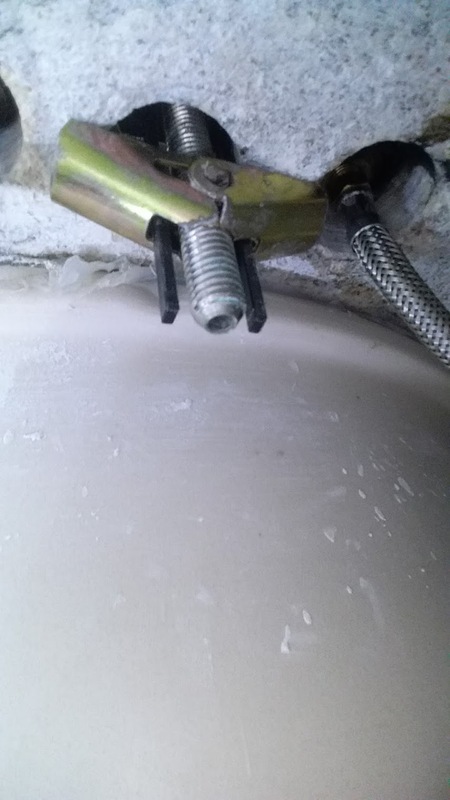 How can I reseal a shower drain on a pre-formed shower base? How to remove this kitchen faucet cartridge?